WALLER, Tx. -- All great escape artists need a distraction to make their break, and this crawfish is no different. 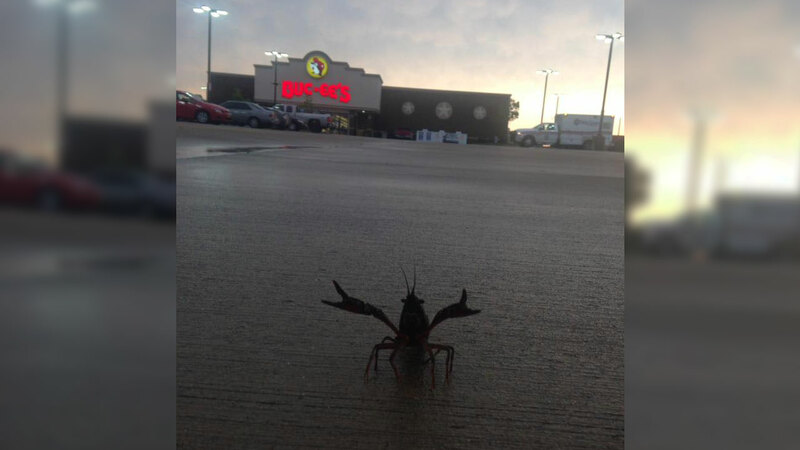 After another round of heavy rain moved through the area on Friday evening, Waller resident Jessica Ardonne Newton spotted a lone crawfish waltzing through the parking lot of the Buc-ee's on highway 290. Commenters on the post, which has already been shared over 3,000 times, were quick to point out that a seafood restaurant sits across the street from the Buc-ee's. Could the calculating crustacean have used the chaos surrounding the severe weather to make a break from the seafood restaurant before meeting its fate in a pot of boiling water? Might it have slipped out just in the nick of time and headed to Buc-ee's for a bag of Beaver Nuggets?